Heat oil in pan, add cumin seeds, ginger paste, garlic paste, chopped onions, green peas, carrot and saute for 2 to 3 minutes. Add spring onion leaves, boiled rice, goda masala, salt and mix well. cook for 2 to 3 minutes. 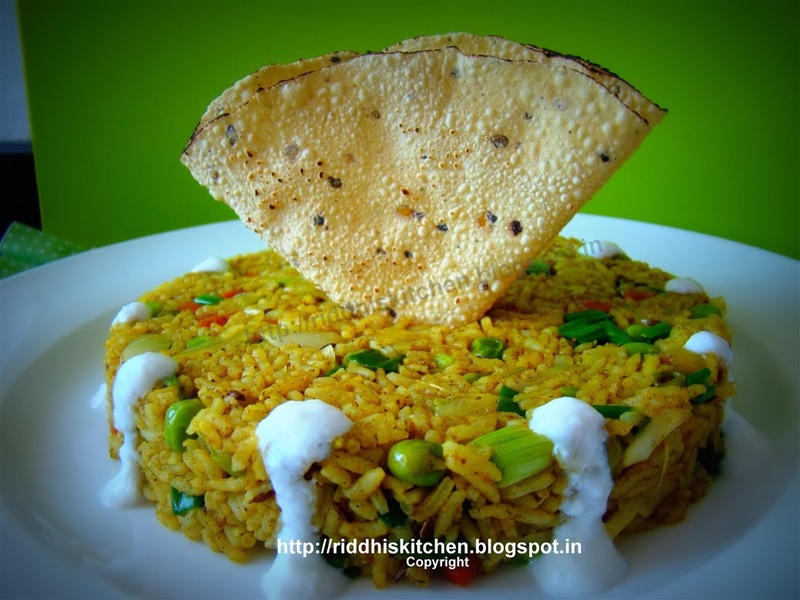 Garnish with papad and curd. Tip : Goda masala is maharashtrian garam masala. you can make different types of dishes with the use of Goda masala. This Goda masala available in market.